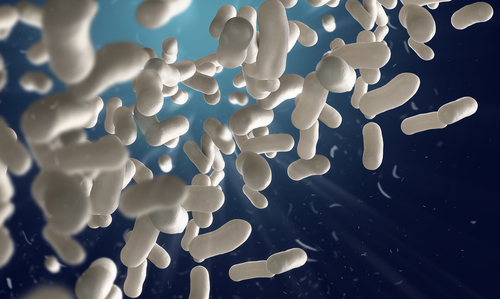 A recent study conducted at the University of Texas Medical Branch (UTMB) at Galveston has shown potential in finding possible “protective,” bacteria which could provide resistance against the Human Immunodeficiency Virus (HIV) and its replication. This study, led by Richard Pyles, examines the symbiotic nature of microbial communities growing on Vaginal Epithelial Cells (VEC), and its possible role in preventing Sexually Transmitted Diseases (STDs) like HIV/AIDS, according to a recent report published in PLOS One online, on March 27, 2014. This is the first time VECs have been grown and cultured ex-vivo, mimicking the conditions suitable for growth of the Vaginal Microbiome (VMB) . The main reason for this is to study whether and how a particular bacterial community out of the VMB can alter or inhibit the replication of HIV. Bacterial Vaginosis (BV), a pathophysiological condition where the ‘good’ bacteria are outnumbered by ‘bad’ bacteria, causing a disturbance in the health of vaginal flora and inflammation, has been shown to increase susceptibility towards HIV infection by lowering the potential of anti-retroviral drugs. Hence, maintenance of a healthy balance between the beneficial and non-beneficial bacterial communities is important. Prophylactic treatments for vaginal infections including vaginal applicants, gels, suppositories, and rings have also failed to provide desired effects and instead have affected the populations of beneficial bacteria (eg. Lactobacillus sp. ), which in turn has made the vaginal epithelia susceptible to infections. It was thus necessary to recreate similar conditions ex-vivo to check for defense mechanisms provided by the VMB against HIV. Another aim was to determine how overdose and misuse of antimicrobial drugs affected the symbiotic balance among the ‘good’ and ‘bad’ bacterial communities which alters the system’s defense mechanisms against pathogens. Vaginal swabs, biopsies and routine gynecological examinations helped in obtaining VECs which were cultured and grown ex-vivo on petridishes in laboratory conditions. PCR analysis and genotyping helped in characterizing the communities of bacteria, which grew on the mucosal surface of these epithelial cells. Cryopreservation of VMBs helped in repeated analysis of the composition of the symbiotic flora subjected to various adverse conditions (including infections by pathogens). Hence a successful VEC-stratified multilayer culture system was created. As the report suggests, surfaces with beneficial bacterial communities fared better in terms on HIV infections when treated with anti-retroviral drugs, as compared to surfaces without these bacteria. Thus, it is believed that enhancing growth of beneficial (‘good’) bacteria and maintaining homeostasis in terms of bacterial flora, can considerably reduce the chances of HIV and other STDs.